We were first introduced to Professor Layton back in February 2007 with his debut title, Professor Layton and the Curious Village. Since then, the 'Sherlock Holmes' inspired character has gone from strength to strength with an original trilogy, a prequel trilogy, a movie, and an upcoming crossover with defense attorney Phoenix Wright in Professor Layton vs. Ace Attorney. Christopher Robin Miller is the calm and welcoming voice behind the English Professor of Archaeology, and we were lucky enough to sit down to talk to him about his character, his favourite games, and his tendency to talk to himself. After all, a true gentleman never turns down an interview. Nintendo Life: Welcome Christopher, thanks for taking the time to chat with us! Could you please introduce yourself to our readers? Christopher Robin Miller: Hello! My name is Christopher Robin Miller and I am the English speaking voice of Professor Layton. NL: Tell us how you began your career in voice acting? CRM: I began before I began if that makes sense. As a child, I would mimic everything I heard. I always had a sort of auditory fixation or fetish, if you will. Saturday morning cartoons, Sesame Street, The Muppet Show, Disney movies, SNL, my family, school mates, everyone. It got me into trouble a lot. As an official career, it began when I met Linda Bearman who had moved from LA to Salt Lake City around 18 years ago and I hounded her for 6 months to get me into Voice Over. She sent me on an audition just to get me to leave her alone and I got the gig. 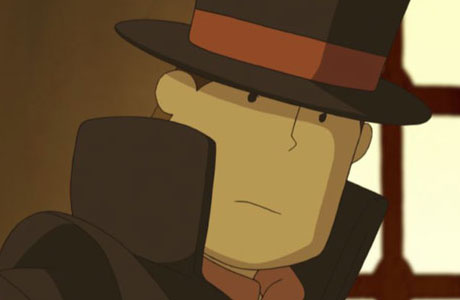 NL: Professor Layton's calm and reassuring voice is one of his most defining character traits. Did you have any sources of inspiration in creating his voice? CRM: I believe it was the Owl voice from 'Winnie the Pooh'. A few actors did Owl's voice, but Sebastian Cabot is, to me, the quintessential English gentleman's voice. I also watched Mr. Cabot as Mr. French on a series called 'Family Affair'. The Professor doesn't sound like him, but it was a template. NL: You're also the voice behind Inspector Chelmy and Don Paolo, is it ever strange to record conversations with yourself? CRM: It is very much like my normal life. I talk to myself in different voices all the time. Not like in a "Wow, that guy has a disorder" kind of way, but more than most people. Then again, I do talk to myself in a padded room and then get paid for it. So my life is strange already. NL: Was recording for Professor Layton and the Eternal Diva a different experience from voicing the video games? I talk to myself in different voices all the time. Not like in a "Wow, that guy has a disorder" kind of way, but more than most people. CRM: In the games, my favorite part is all the dramatic, action packed little scenes. The movie was wall-to wall drama and action. NL: The Professor Layton games contain enormous amounts of spoken and written dialogue, which means each game undergoes a significant localization process during its journey from Japan. How far into that process do you begin recording? Do you begin work with the final script, or record smaller sections of dialogue as they're translated? CRM: I get the "final script" after it has all been translated. But the localization experts are still at the recording sessions to collaborate with me and the studio engineer. We might "tweak" lines if necessary to make each game as perfect as possible. They have a tough job, and I love working with them. NL: In Professor Layton and the Miracle Mask, we get to play as a young Herschel for the first time. Did your approach to voicing Layton differ at all for his pre-top hat days? CRM: I did have to physically adjust. As a younger person I had more physical energy and a lighter attitude and demeanor. I just removed some of the texture and deepness that comes from age and experience. NL: Do you share the Professor's propensity for puzzle-solving? CRM: I find that, as an actor, what makes people tick or what motivates a character is the puzzle I am compelled to solve everyday. An absolute - like mathematics - is not my strong suit. I like problems that can be finessed. The Professor Layton puzzles stump me pretty quickly, actually. So sad. I shouldn't tell you that, should I? NL: Do you play video games yourself? What are some of your favourites? CRM: I love video games! I'm no good at them, but I love them. I'm pretty old school. Anything Mario is awesome. I remember the first video games ever coming out. A few years ago I had a buddy who would play fighting games with me like Soul Calibur 2 or Tekken 3, and he would start singing the chorus to 'CRAZY ON YOU' by the band Heart while destroying me. I would laugh so hard that I couldn't breathe. Many a night went too late doing that. We both have daughters now, so we don't play much anymore. The Professor Layton Games are my favorite, though... I'm sure you can guess why. NL: What's been your favourite Professor Layton game so far? CRM: I can't really choose. I loved learning more about Layton's past in 'Unwound Future'. NL: Are you currently working on some new projects at the moment? 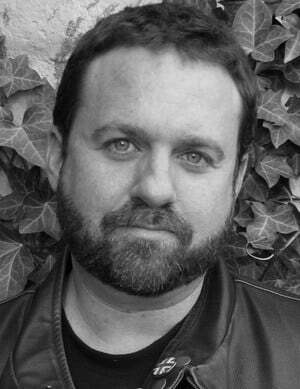 CRM: I act in television and film and am collaborating on some film projects with some well-known producers. I'm always doing other commercial and cartoon VO as well. There may be something happening very soon, however "A true gentleman never reveals too much!". NL: What advice would you give someone who aspires to voice act in video games? CRM: I would say hustle. Writers write, painters paint, voice actors voice act. Do any work you can get your little mitts on. Be a good audience. Find your mentors and prepare to collaborate with them, not replace them. Also, don't worry about looking or sounding like a fool. You can "care" about doing well, just try not to "worry". NL: Thank you so much Christopher, all the best for the future! CRM: Thank you! Let's do this again sometime over tea. Watch the full video; I swear it is relevant. I kind of wish it was a video interview. "There may be something happening very soon, however "A true gentleman never reveals too much!" "
You'd better be talking about Layton vs Phoenix Wright. I won't accept that game not getting localized. Fantastic interview, seems like a down to earth dude Love the Layton games, and I think his voice is a big part of what makes the character so likeable. "You'd better be talking about Layton vs Phoenix Wright. I won't accept that game not getting localized." Layton is one of the best video game characters. I would compare him to Atticus Finch. Once again, another great interview NL. I've known that Christopher Robin Miller was Professor Layton's voice actor for a while now, but I've never seen an interview with him before. P.S. When he says, "There may be something happening very soon, however "A true gentleman never reveals too much!" could he have been speaking about another Professor Layton movie? For the record, Sebastian Cabot never voiced Owl in "Winnie The Pooh," but he was the narrator for the original Pooh featurettes. I know that's only barely relevant to the interview, but I figured I'd mention it in case anyone was curious. Anyway, I'm loving the voice actor interviews! These are always so fascinating to read. He seems to be a pretty interesting guy! I respect the way he thinks about being a voice actor. Also, keep posting voice actor interviews. They are pretty interesting after all! I absolutely adore the English dub of the Layton games, and Miller's masterful turn as Layton is a big reason why. Wow, a voice actor that actually has played and liked the games that he worked on. That's pretty refreshing. he seems like a nice and down to earth guy. great interview! Christopher Robin Miller's voice for Layton is one of my favorites in any game. It's so warm and comforting, despite the mysteries surrounding the character. And I seriously geeked out when he mentioned Owl from Winnie the Pooh and Sebastian Cabot. Being a lifelong fan of both, it was a treat to read. Thanks a lot for conducting this interview, Nintendo Life! Man, I'd give a lot to have 'Layton' leave a voicemail. Everyone must watch this. It is relevant. I wish he did Don Paolo's voice in that video. The Professor Layton series can never die. Level 5 needs to change its mind and make more Layton games! Professor Layton vs. Ace Attorney localization to be revealed on Wednesday? I hope. Professor Layton.. how i wish my IQ was just a weeeeee bit high enough to solve all those Math related puzzles in the newer lot.